If you stalk follow other bloggers on Instagram like I do, you’ll have seen the flood of posts about the NIVEA Come Closer event held in Balesin last week. I won’t hesitate to say I was jealous because admit it–you were too! Nivea couldn’t have picked a more beautiful location to launch their summer products there and I’m sure we’ll be seeing posts from the lucky bloggers who got to go soon (some may even be up by now), but for now you can search the hashtag #NIVEAComeCloser on Instagram to have a peek at their posts. I wasn’t there–duh– but the good news is that summer will be here for all of us in no time at all. You won’t even have to be at the beach to feel the summer sun (although that is probably is the best place to be). And even when it isn’t summer, there are Nivea products that you can use all year round. Enter the Blue Box of Secrets that arrived at my house last week: How was that for a segue, eh? Haha. Ok, so onto the box. Everyone knows that when you label a sealed container with the word “secret” you might as well have blinking neon light arrows and the words “OPEN ME” pointing down at it. So open it I did. Sleep without makeup. 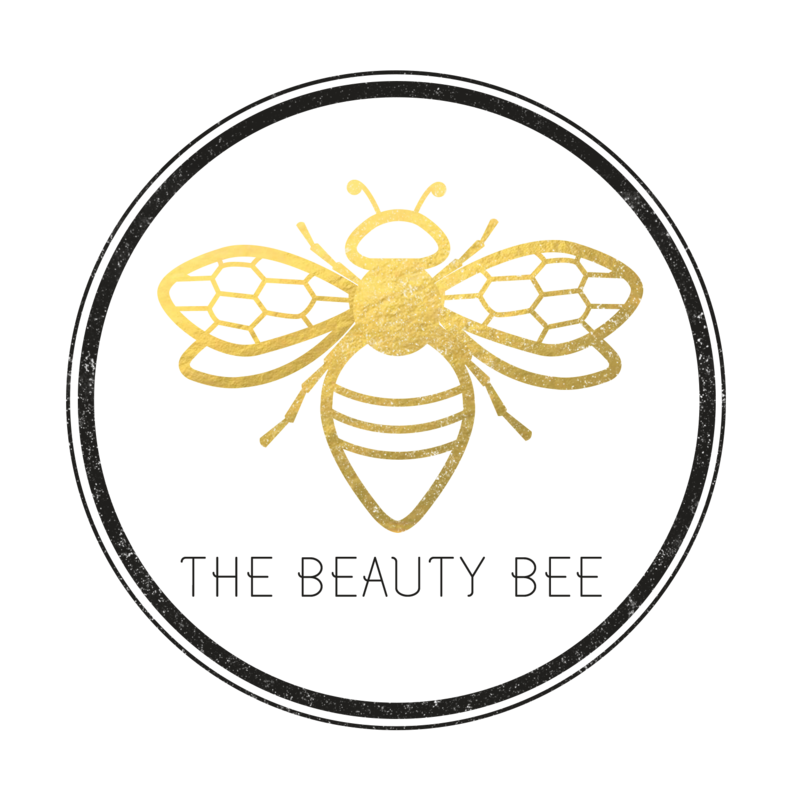 This is one of those “beauty secrets” that everyone knows but needs reminding of anyway. I personally hardly ever forget to remove my makeup before sleeping as even when I am shitfaced drunk–another thing that doesn’t happen to me often– I stumble into my bathroom and get the gunk off my face before I crash. My usual strategy (if you can call it that) is to squirt some makeup remover in the general direction of a cotton pad and then swipe at my face haphazardly, hoping that my aim is alright. When I come back to do a real cleanse the next morning, there’s always some makeup left somewhere… we do what we can, yeah? Still, there’s always room for improvement, and I have a feeling that these Nivea wipes you’re about to see will make “new strategy” that I didn’t even know I was looking for. Oh yes. Nivea even threw in a fluffy white eye mask as if to say you’re face isn’t clean enough unless you can use this without dirtying it! which is totally the best way to test this product out, I think. I also just really like soft eye masks, so I’ll be keeping that one for my next long flight for sure. 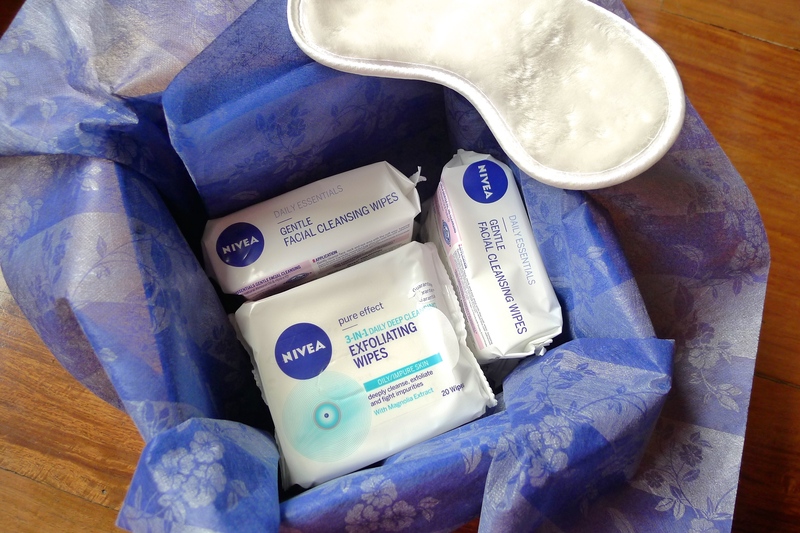 There are two variants of the Nivea wipes: the 3-in-1 Pure Effect Deep Cleansing Exfoliating Wipes (for oily/impure skin) and the Daily Essentials Gentle Facial Cleansing Wipes (for dry and sensitive skin). A pack of the former contains 20 wipes, while the latter has 25 wipes and they both cost just 140.00 Php. 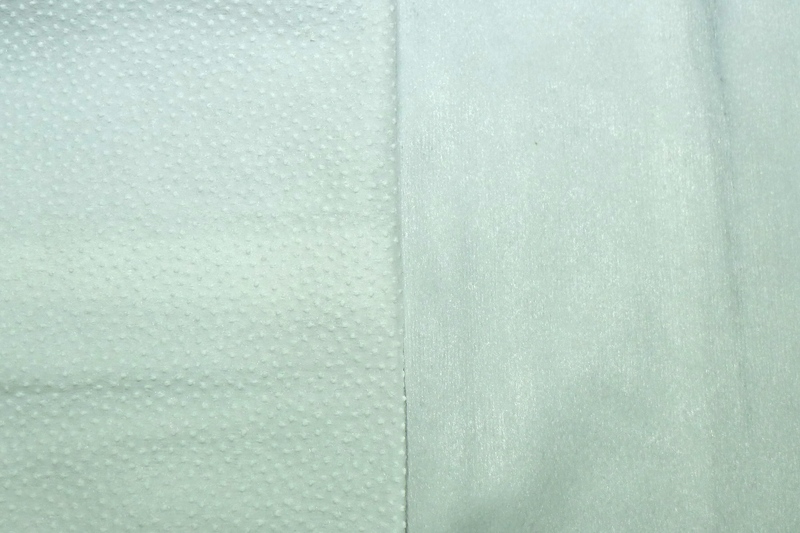 The Exfoliating Wipes have a textured surface while the Gentle Wipes are soft, thick, and smooth. Both were very moist when pulled out of the pack and removed makeup quickly and with minimal effort on my part. I didn’t use the Exfoliating Wipes near my eye area, but it was great for removing heavy base makeup. 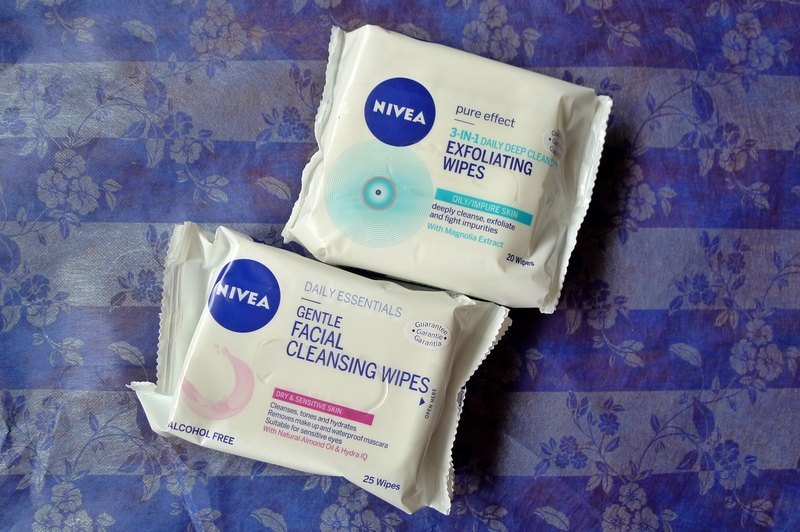 As for the Gentle Wipes, I did try to use them gently on the eyes (and they were pretty gentle) for the purposes of this review, but I wouldn’t do it again just because there are better ways to approach the eye area. Over the rest of the face, the Gentle Wipes removed makeup just as quickly as the Exfoliating ones did even if there were no bumpy things for manual exfoliation. Even if you have oily skin, I wouldn’t recommend using the Exfoliating Wipes on a daily basis. The Gentle Wipes work just as well and are… well, gentle. Maybe if you wear heavy, stage makeup then the Exfoliating Wipes will be more appropriate. Makeup wipes aren’t just for the times when you come home drunk, of course. They are great to take when travelling and are a lazy girl’s best friend. When you’re not in a hurry, I still recommend doing a full cleanse with water and your cleanser of choice, but products like this are very practical to have. 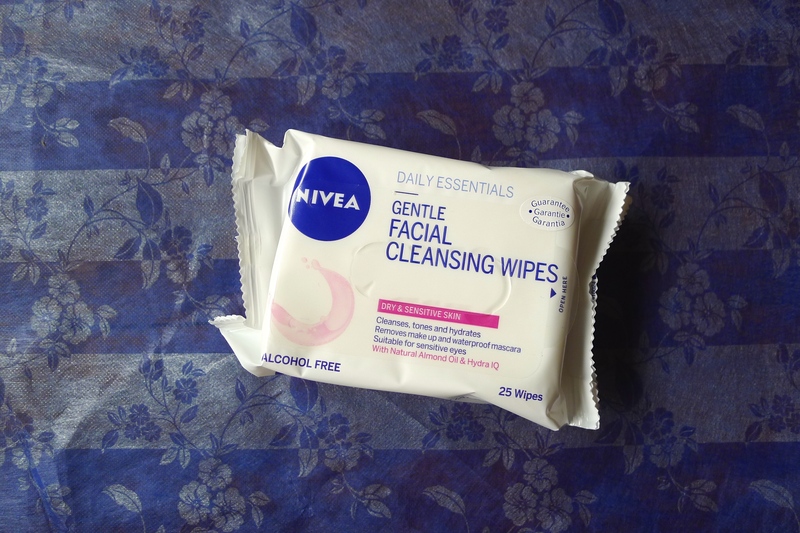 There are so many expensive wipes out there that do the same thing as these Nivea ones for a lot more money, so if you’re curious to try these you won’t have to break the bank. Again, both variants worked very well, but my official vote goes to the Gentle Wipes. Maybe I’ll take these to the beach with me too, come summer. I can’t wait! It’s all about the Nivea wipes the last two months. :)) Gotta get me some of that. The Gentle wipes look promising! I love that you mention the use-case scenario of “getting shitfaced drunk” because that’s like 90% of the reason I would use a makeup wipe over Bioderma (with the other 5% being “asleep on my feet” and 5% “roughing it outdoors”).